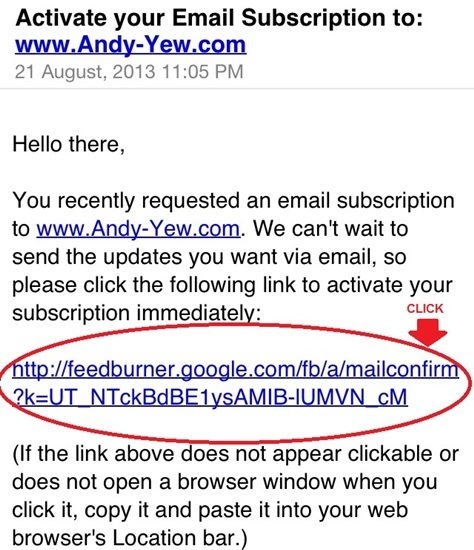 Step 1: (http://www.andy-yew.com) Click Subscribe. 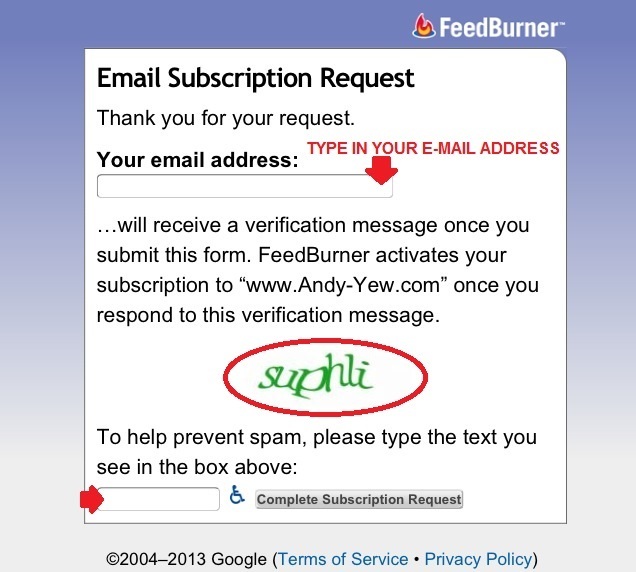 Step 2: Type in your e-mail address & code given. 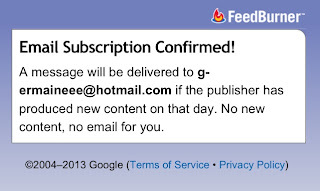 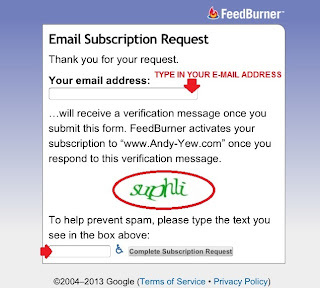 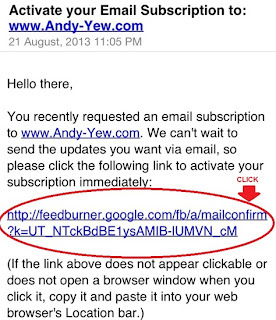 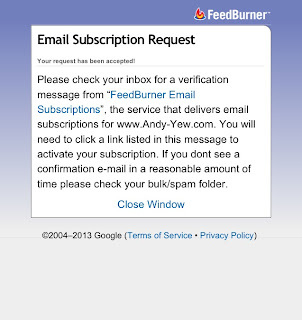 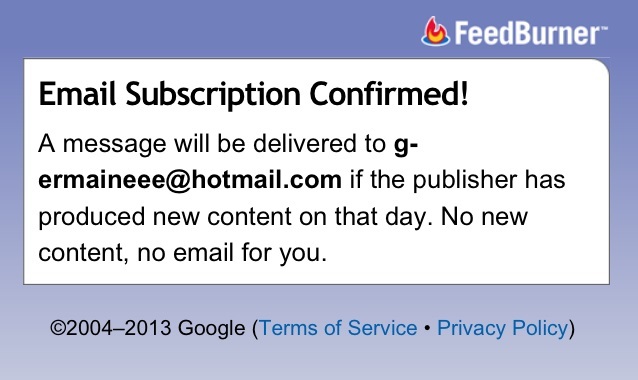 Step 4: Go to your e-mail account, open the e-mail from FeedBurner and click on the website as shown below. 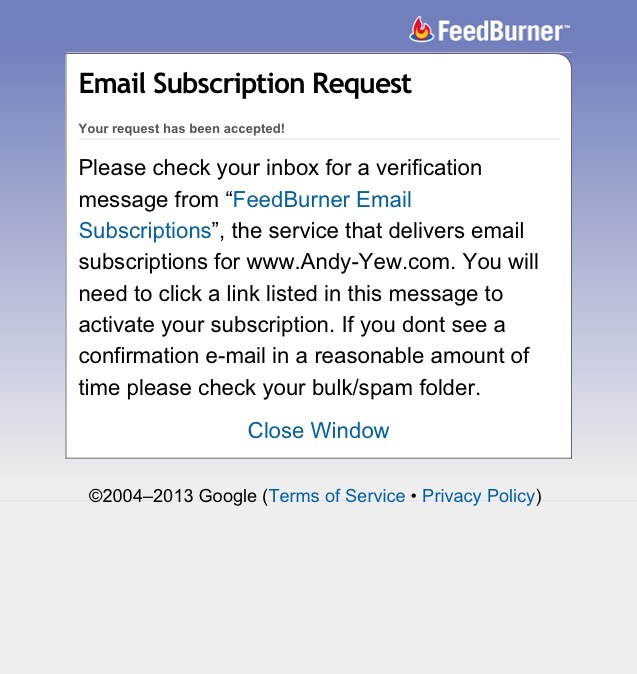 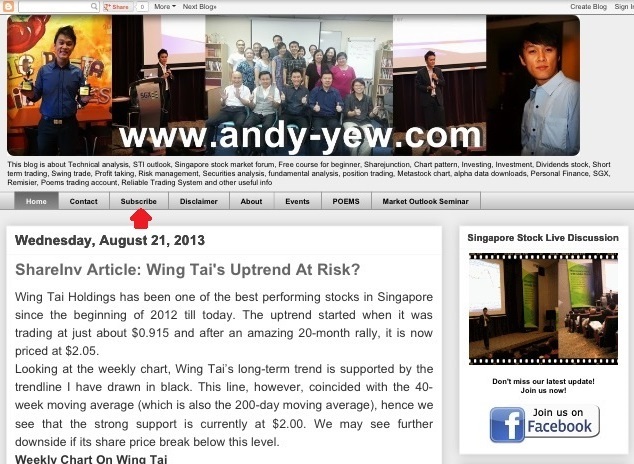 Step 5: You will see this page after clicking the website above and you're done with subscripting to http://www.andy-yew.com!